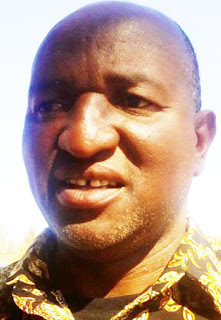 Masvingo – Five Zanu PF heavyweights have been set off the hook after allegations of misconduct levelled against them by the provincial executive were thrown out of the window by the National Disciplinary Committee (NDC) due to lack of evidence and breach of procedure. Former Chivi Central legislator and politburo member Paul Mangwana, former Masvingo provincial chairperson and Masvingo West legislator Ezra Chadzamira, Chief Whip and Gutu Central legislator Lovemore Matuke, Masvingo South legislator Edmund Mhere and Senator Clemence Makwarimba were last week exonerated of all misconduct. The five members are all suspected of being with the so-called Team Lacoste and had lately been subjected to intense pressure from the rival G40 faction which is fighting to have them expelled. With all the charges that were being levelled against the five gone and the mooted no-confidence plans now in disarray, Team Lacoste's fortunes in the provnce seem to have rebounded at least for the time being. The NDC ruled in favour of the five because the provincial executive is said to have no disciplinary power over central committee or politburo members. Matuke said the vote of no confidence recommendation was dramatised and did not follow the correct party procedure. "We were summoned to a disciplinary meeting in Harare to answer to the charges which the provincial executive had levelled against us. The provincial executive had recommended a vote of no confidence but since they failed to follow the correct procedure, all the allegations were dropped. "There was no proper meeting conducted to make that resolution. It was the provincial chairperson Amasa Nhenjana who just compiled the letter on behalf of the other members and sent it to Harare," said Matuke. Matuke said the move by the provincial chairperson and his executive can be equated to a subordinate trying to fire the boss in an organisation. "They have no case against us and we have no case to answer either. That is why the case was dismissed," Matuke said. Mangwana, who has reportedly been on the hit list for a long time, is said to have boycotted the disciplinary hearings challenging the validity of the charges against him and his colleagues.